Belmont Community School caters for students aged 11-16. A Shared Use agreement with the School allows Belmont Community Association to use their Sports Hall, Astroturf, Gymnasium, Classroom, Performing Arts Block and Fields at weekends and evenings and during the school holidays. The following facilities are offered for hire from 5.00pm to 10.00pm weekdays, and all day during weekends and school holidays. 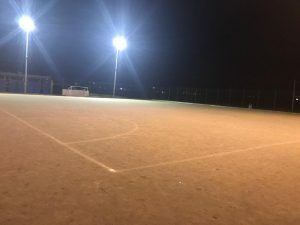 Astroturf pitch with floodlighting. Ideal for football or hockey. Gymnasium for fitness classes, judo, karate and boxing. 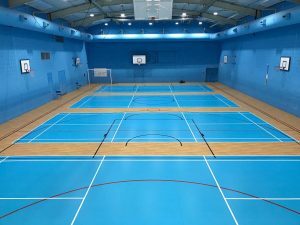 A refurbished sports hall accommodating 4 premier standard badminton courts, netball, basketball and indoor football. 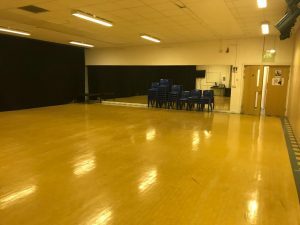 A performing arts block, suitable for dance classes. 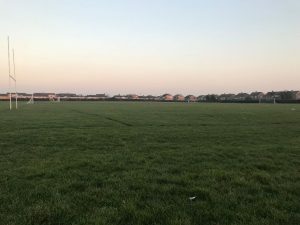 Three grass football pitches and one rugby pitch. Belmont Community School site can be accessed from Buckinghamshire Road (DH1 2QP) and has ample free parking. It is within a short walking distance of regular bus services to and from Durham (Nos 20, 20A, 265, 204, 208) – alight at The Belmont public house (bus stop known as The Sportsman’s Arms).